Tero Isokauppila is the fungi-slinging sage behind Four Sigmatic, a rapidly-growing purveyor of delicious medicinal mushroom elixirs. Tero comes from a lineage of mushroom farming and is an expert on all things fungi and natural health. He’s also the author of two books: Healing Mushrooms and Santa Sold Shrooms, the Untold Story of Saint Nicholas. There is an unfathomably ancient network of intelligence beneath our feet that gave rise to everything– plants, animals, basically all life forms. That may sound like a bold statement, but research suggests that fungi have existed on earth for well over a billion years, serving as a vital part of the ecosystem that enabled the all-important Cambrian explosion (an event that occurred about 540 million years ago during which most of the major animal phyla appeared in the fossil record). That in and of itself is a marvel, but if that’s too abstract for you, there are experiences that you can have personally that truly make it seem as if you’re plugged into a transcendent mycelial web of fractaline intelligence. For now though, let’s leave such speculation aside because we have something far better on this mind meld. We have Tero Isokauppila. 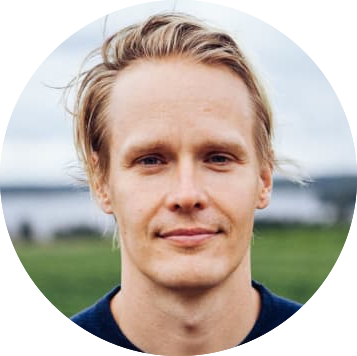 Tero is an expert on all things mushroom and the founder of Four Sigmatic, a fantastic fungus-slinging company with a fabulous ethos that’s absolutely exploding in popularity (they made mushroom coffee famous). Tero also happens to have fruited from a long line of mushroom farmers, so he’s been hands-on with these life forms from a young age. He also has an educational background in chemistry and nutrition, so he has an intimate understanding of how fungi interfaces with the human body and the environment. Tero’s book Santa Sold Shrooms, a story about the shamanistic roots of Christmas is available now. Four Sigmatic’s completely free mushroom academy where you can learn about all things fungi. Seriously, all three levels of the course are totally free.